CHITWAN, Nov 16: Patihani of Chitwan, one of the 100 new tourist destinations prioritized by the government for Visit Nepal 2020, is wearing a new look these days. The ongoing construction of tourism infrastructure at Patihani as well as Someshwar hill of Madi indicate that the government is not only talking about change but actually working to make it happen. Patihani is known for its biodiversity. Just like Sauraha, it boasts of elephant ride and boating around the jungle and buffer zones offering glimpses of a variety of species. “It should have happened much earlier. Sauraha has been in the eyes of the tourists for long. Patihani isn’t any less than Sauraha to mesmerize tourists,” Mahato said. Though late, the locals are happy that Patihani has gained attention. They are hopeful that this ‘new destination for tourists’ is going to change the economy of the area. “Including our place within the 100 new destinations has spread positive message among the people. Locals are quite elated. Arrival and stay of tourists in our area means our businesses will grow,” Mahato noted. Four 3-star hotels are in operation in Patihani. Other nine hotels offer quality service at reasonable charges. Belsar and Birendranagar community jungles fall within its border. “There are other facilities being built for them. And then they can take a round of the jungles to watch animals and birds,” Mahato added. Three additional 3-star hotels and four ordinary hotels are being constructed at Patihani. This is expected to cater to the needs of the tourists. Big hotels have over 300 luxury rooms while the small ones offer 150 rooms. “We have adopted an integrated approach. All the stakeholders have been asked for due cooperation,” Mahato said. One of the major attractions of Patihani is Kamal Pokhari. Locals had been voicing for its promotion since long. However, it was being visited only during some occasions. “Kamal Pokhari is a mesmerizing place. We are trying to fix necessary facilities there in order to woo tourists,” said Mahato. He added that tourists do visit the place even now, but the number is not impressive. After two years, the visit-Nepal 2020 is going make it tremendously popular, he noted. 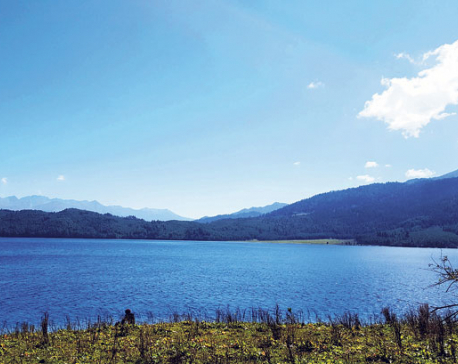 According to Ganesh Sharma Poudel, operator of Jungle Villa Resort, Kamal Pokhari is a magical place and tourists might be thrilled to be around there. “There are many other attractions for tourists. But this one is amazing. We must promote this to the optimum,” he said. Poudel stated that tourist arrival was up by 25 percent last year. And what they loved most was the serenity of the environment and originality of the local culture. Also, the wide variety of wildlife engrosses them. “We do have all the components which are necessary to excite tourists. We are blessed to have such a serene natural beauty here. Tourists feel relaxed, charged, energized,” he boasted. Meanwhile, CDO of Chitwan, Jitendra Basnet, termed Patihani as a place yet to be explored. As most of the areas are yet to be explored, it is going to be a great experience for tourists, he said. “There are many such places here which have not been ventured. 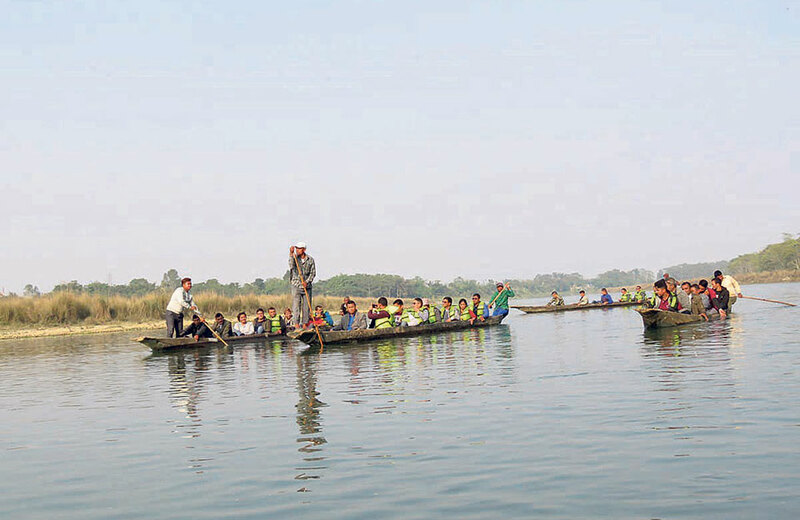 It is not just an entry point to Sauraha, but a great natural wonder itself,” he said. “We are building necessary infrastructure for tourists in the view of Visit Nepal 2020. But while doing so, we make sure that the originality of this place and its uniqueness is not messed up,” he added. According to Basnet, there is no dearth of investors for tourism development in Patihani. Seeing the bright prospects of tourism in here, investors are quite attracted to this place. Tharu and other indigenous communities in Patihani have been showcasing their cultures and tradition to visitors since long. Tharu dance, Tharu food and typical cottages they live in have always remained a big attraction for tourists in Chitwan. Similarly, vulture and ghoral reproduction centers are also huge attractions of Patihani.